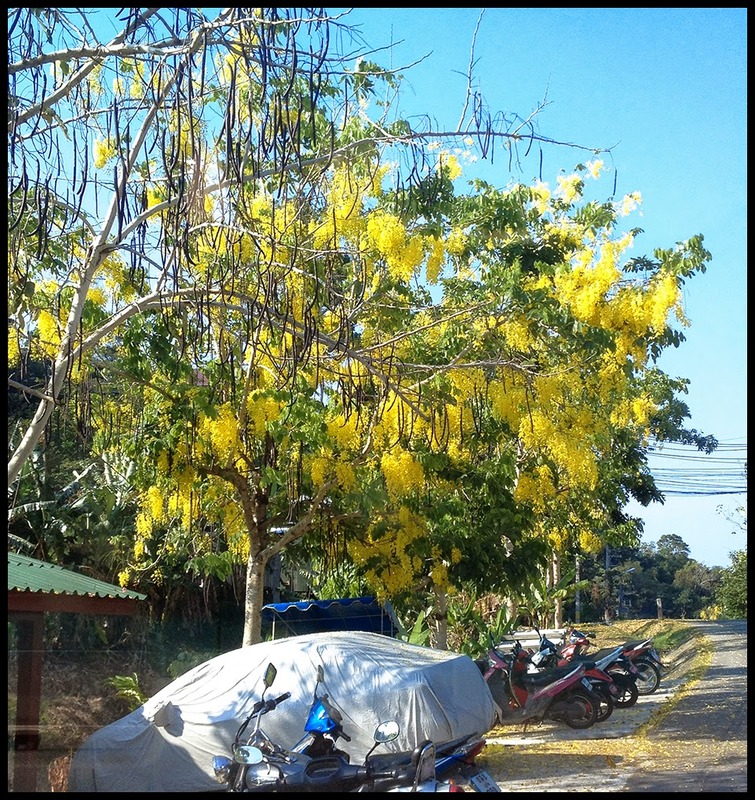 April is when the ratchaphruek flowers bloom. 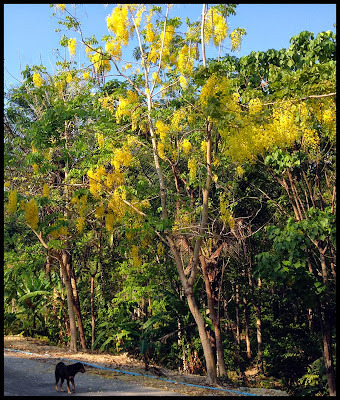 It happens seemingly overnight in the hot season, yellow blooms bursting to life all over the country. 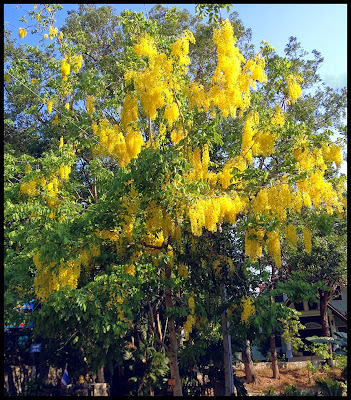 The ratchaphruek flower is the national flower of Thailand, it's yellow colour is symbolic of Monday, the day when King Bhumibol was born. 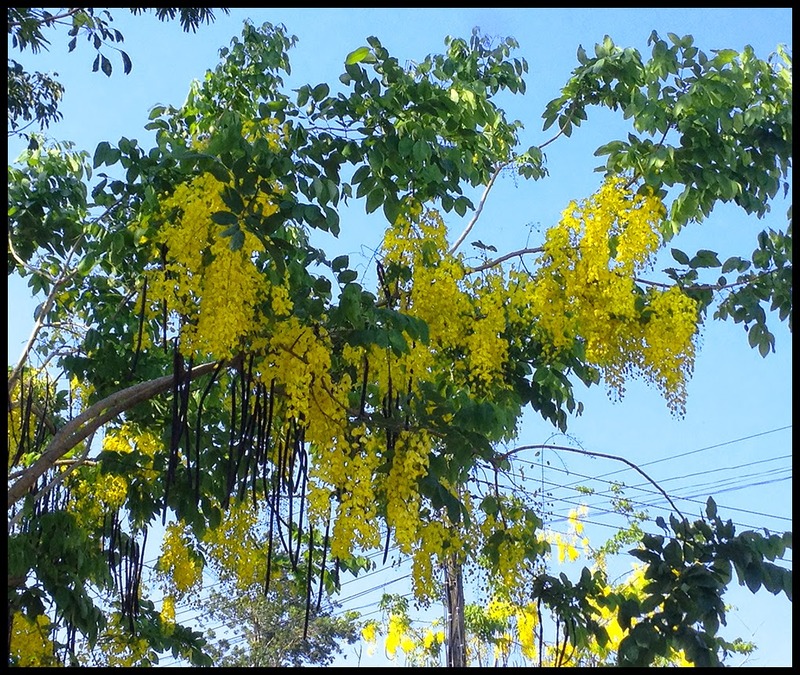 I just noticed the flowers springing to life last week, so I stopped for a few photos today! Certainly does brighten up the countryside which can look a bit brown at this time of year when rainfall has been scarce for a few months. These photos all taken on 50 Year road (Hasip Pee Road) which winds through the hillside above Patong beach.